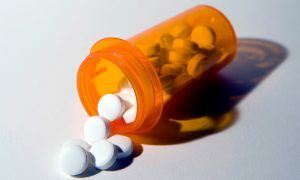 The WHO estimates that 10% of medicines globally could be counterfeit. A 3D barcode that is invisible to the naked eye and cannot be detected by touch may be stamped on pills to prevent the widespread counterfeiting of medicines. Developed by the UK company SofMat and engineers at the University of Bradford, the barcode would help combat the proliferation of fake pills; the World Health Organisation estimates that up to 10% of medicines globally could be counterfeit, with two-thirds of pills bought online being either fake or sub-standard. Unveiled at the British Science Festival in Bradford on Wednesday, the system would be used during manufacturing and would imprint each tablet with a series of minuscule pinpricks, which could later be read using a scanner in hospital or at a medical centre before the medication is given to a patient to ensure it firstly has a code, and matches the correct batch and type of pill. Dr Phil Harrison, the Managing Director of SofMat, said the company is in talks with firms in Switzerland and China, but that getting US and UK companies interested is so far proving more difficult. 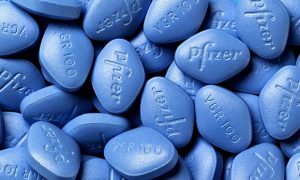 Gangs using smartphone apps and social media to sell erectile dysfunction drugs and slimming pills at low risk and high profit. He said: “It allows more complexity than existing anti-counterfeit systems. Using a four-pin array we can have more than 1.7m configurations.” He said using more pins, and taking into account the recycling of barcodes as batches are used up, the system could allow for “20bn to 30bn variations” so each pill has its own unique barcode. The manufacturing could create tiny variations in the depth of the pinprick – as small as one hundredth of the width of a human hair. The scanning device at the prescribing end of the chain is expected to be completed by November 2016, said Harrison, and the aim is to keep the cost to about £200 to make the system viable for health centres. While the system has been developed for the pharmaceutical industry, Harrison said the potential uses for any manufacturing process involving minute and highly counterfeitable products were more wide-ranging – SoftMat is in talks with a Swiss watch manufacturer and is also looking into the aerospace sector. © SofMat Ltd 2019. All Rights Reserved.